While I was snapping photos from shore, my husband and his friend, Daniel, (pictured here) were hunting and gathering. With the beginning of fall also comes oyster season here. The guys wondered out and gathered tea for us tonight. 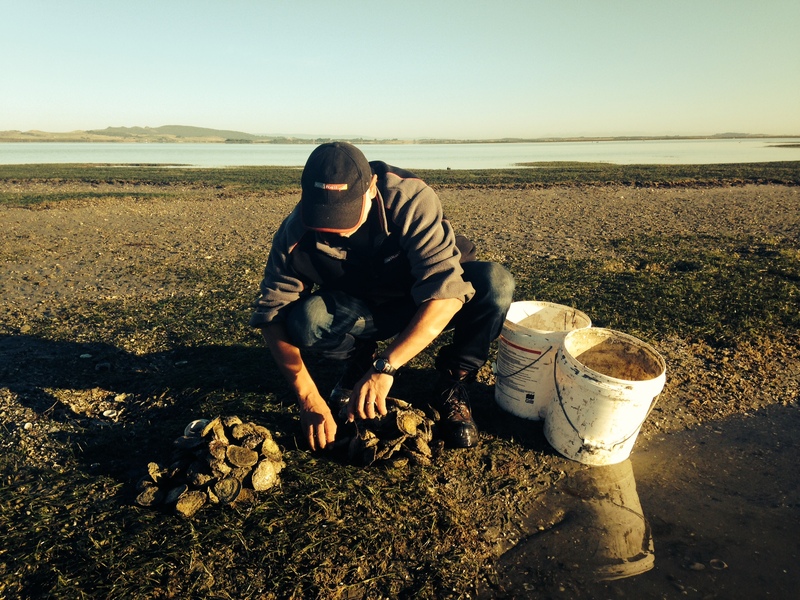 Bluff Oysters are on the menu. 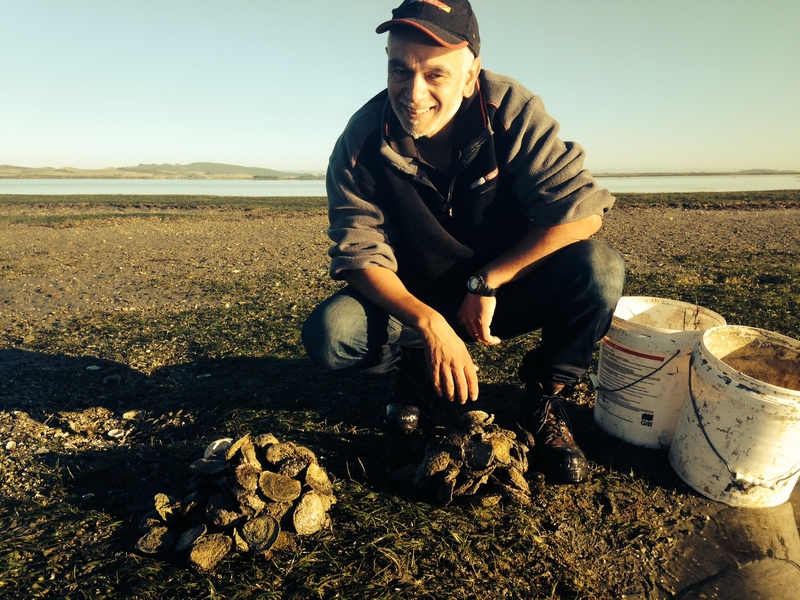 We are quite happy to see the overflow of our oyster farms creating a recreational fishing supply…and creating smiles (look at the smile on his face in these photos!) My husband tells me that it is very satisfying for a man to hunt and gather for his family. I must say, he said they were two very happy chaps as they wondered back to the car with their bounty. I think they are going out again tomorrow morning hunting again- for paua. Bluff is rich. Sadly, economically, Bluff has suffered many hits leaving this little town desolate for years. HOWEVER, I’m telling you…WATCH THIS SPACE! Good things are on the way for Bluff and before you blink this town is going to be thrivingl. It is beautiful and bountiful and full of potential. There is an expectancy here for Bluff. And I am so happy that I get to live here. It’s a great day to live in Bluff! Bluff oysters sound yummy! When I was a kid I used to go gathering yabbies with my Dad. 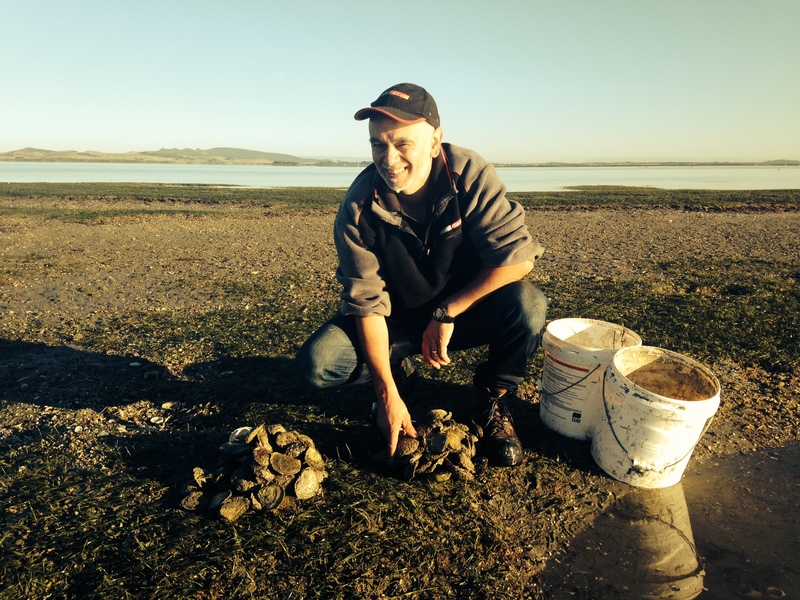 Yabbies were used as fishing bait. Your lovely photos remind me of those times so long ago. Paua shells are lovely. Their colours make them particularly beautiful. The Bluff oyster is a delicacy and we are blessed to be able to recreationally fish for them. It really is great fun. I adore Paua shells. I have a couple of pieces set in silver as jewellery and they are beautiful.